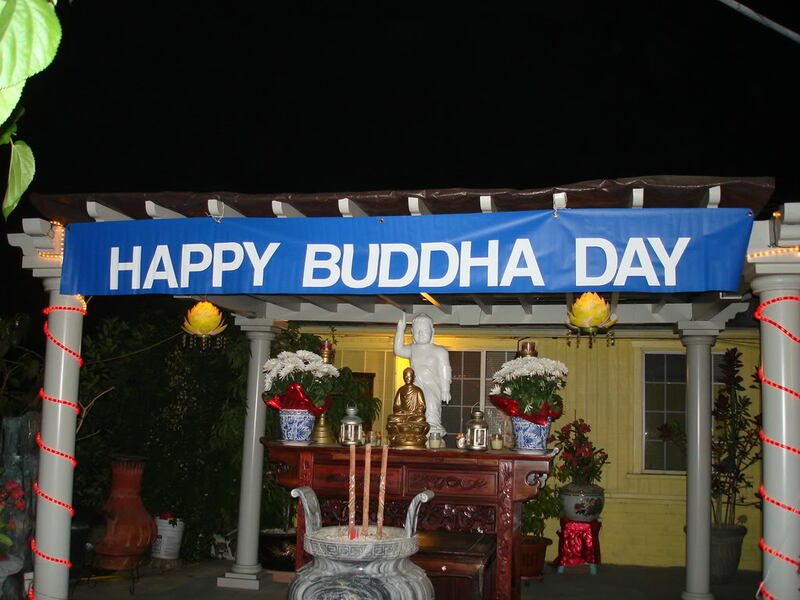 Friday May 24, 2013 is a very special day for those of the Buddhist faith. 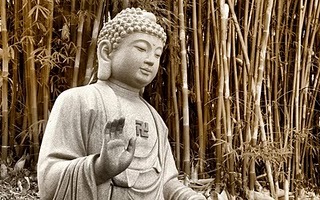 Whether you are a Buddhist, or like me and just identify and believe in the loving compassion teachings of the Buddha, this is a day to acknowledge and celebrate. Buddha Day, also known as Vesak, Vesakha or Wesak, is a celebration that encompasses the birth of the Buddha, his enlightenment Nirvana and his passing away, all on the same day. This day falls on the full moon of the 5th month of the lunar calendar, varying dates each year. This year it falls on May 24th. Most Buddhist celebrations occur during the full moon. This day is one of the most important observances and celebrations for Buddhists across the world. Vesak offers Buddhists an opportunity to reflect on the life and teachings of the Buddha and also highlights the potential for inner peace and happiness that lies within us all as well as a day for Buddhists to reaffirm their commitment to living a moral and compassionate lifestyle. As Eric reminds me, it is not how he died but it is a day to reflect on how he lived and the magnitude of his teachings, and that is the reason we celebrate. I have always admired and appreciated the teachings of Buddhism. However, it wasn’t until I met Eric that I personally started to participate in any rituals or celebrations. Prior to knowing him, I would only partake in my only my solitary teachings/readings and meditations and a occasional visit to Kalpa Bhadra Kadampa Buddhist Center in Wichita, KS where I first met my Buddhist Nun Kelsang Namdrol. Imagine my delight when I met Eric and found out he is Buddhist. I was able to introduce him to the Buddhist center I loved so much and it turned into an experience we could share together, rather than something I did in solitary on my own. Eric and I begun to discuss some of our Buddhist ideals and rituals and he taught me about the different days of celebrations as well as sharing his own personal rituals and ways to celebrate and give respect to the teachings with me. He is the one who taught me about Buddha Day and all other Buddhist holidays and from there i researched to find out more. For Eric, he will acknowledge and pay respect to this tradition and lifestyle by refraining from eating meat for the whole month of the holiday, taking it a step further than just abstaining for the day before, the day of and the day after. On Buddha Day, we will have a special meditation in front of our shrine and read some of Buddha’s teachings together from our book. However, with our hectic schedules we will not actually have our traditional ritualistic celebration until Sunday. This is carried over from Eric’s rituals prior to knowing me. I am honored to have him share these rituals with me and let me be a part of it so we can celebrate together. We will have our Buddha Day feast consisting of Sushi (vegetarian sushi for me) and miso soup and green tea. Then we will have our ceremony of reading from our Buddhism books together and meditating in front of our shrine. I am so thankful, grateful and appreciative that Eric has shared his religion, tradition and rituals with me and we have incorporated this as part of our lifestyle together.